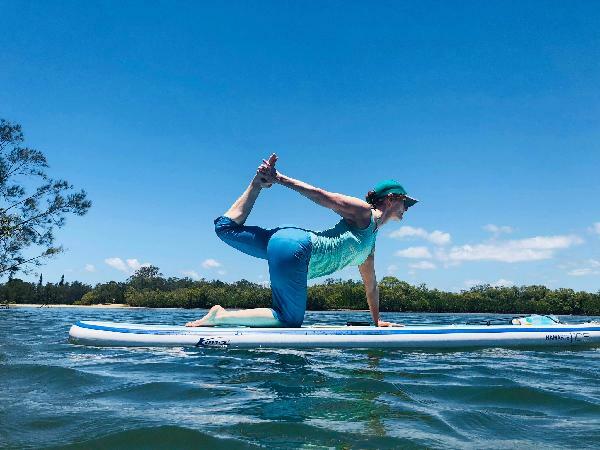 SUP Yoga is the ultimate way to relax, build body strength, connect with the beautiful outdoors and have a whole lot of fun! Stand up Paddle boarding has been a popular water sports for years, and now SUP yoga is taking the world by storm! Suitable for beginners, right through to advanced yogis, you’ll enjoy 1.5 hours of paddling and yoga practice with a twist! Feel truly connected with nature, body and mind as we enjoy a revitalizing and memorable yoga class on the gorgeous Talle Creek. Location: Kevin Gates Park, Awoonga Ave, Koala Park. 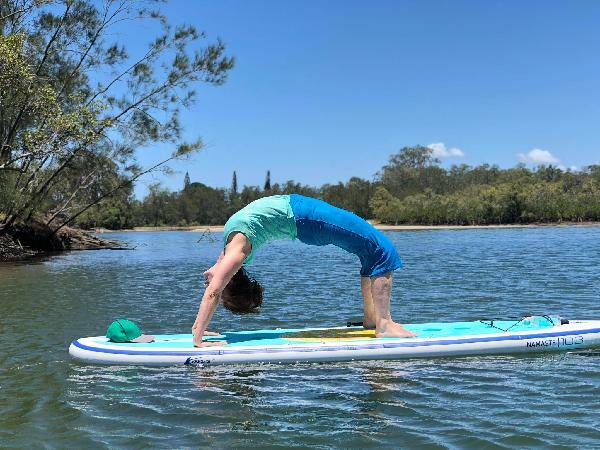 This was a Great introduction to Sup Yoga with purealohayoga.co Sarnia our instructor took us to a beautiful spot on Tallebudgera Creek QLD. Introduced us to relaxation on the water incorporating water within our Yoga Practice. I would love to do this again and would recommend others to try it. Such a wonderful morning spent with Sarnia!!! Booked as a surprise outing for my wonderful partner Julie for us to experience together. In a wonderful place to paddleboard and with lots of fun and laughter, I'd highly recommend this to anyone, even if you are not an experienced SUP person or yoga guru ( I was neither ). :-) Thank you Sarnia for the experience. I would recommend Pure Aloha Yogas SUP Yoga to anyone!.. great fun, a little bit of a challenge, but achievable by all. Sarnia made us all comfortable and in no time we were all relaxed and having fun. Give it a go! Your message has been sent to SUP Group Yoga Class - Pure Aloha SUP Yoga. You should hear from them shortly. Please note: all responses will come directly from SUP Group Yoga Class - Pure Aloha SUP Yoga, and not the team at Bookme.